Are you looking to kill animals for sport, but without all the messy real life gutting and harsh and realistic vernacular to describe it? Too tired to walk mile after mile just to ice Peter Rabbit? 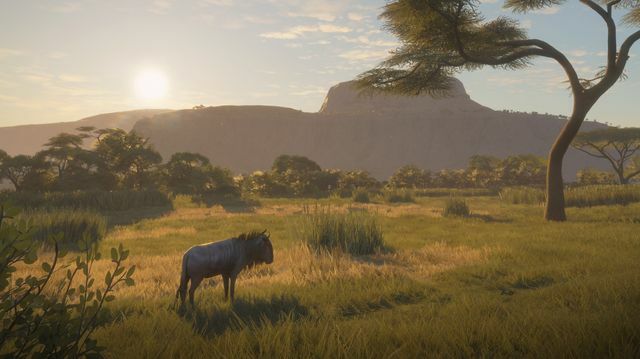 Do you enjoy sitting in front of your Xbox playing National Park walking simulators? 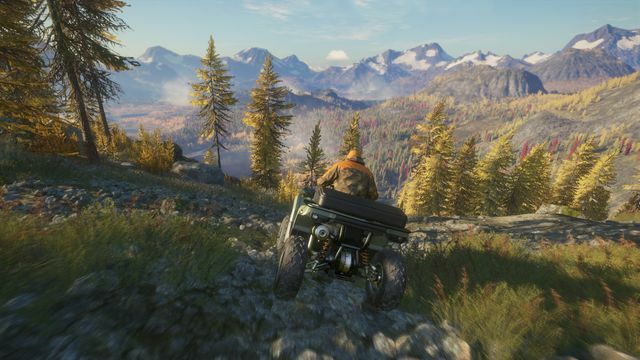 Then theHunter: Call of the Wild is your ticket to fun! 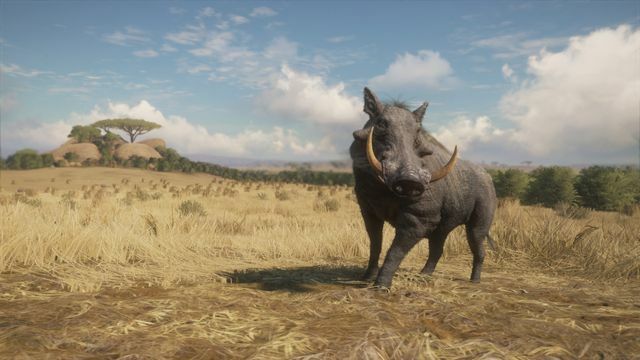 The 2019 edition contains the main game as well as all previous DLCs plus the new Vurhonga Savanna. 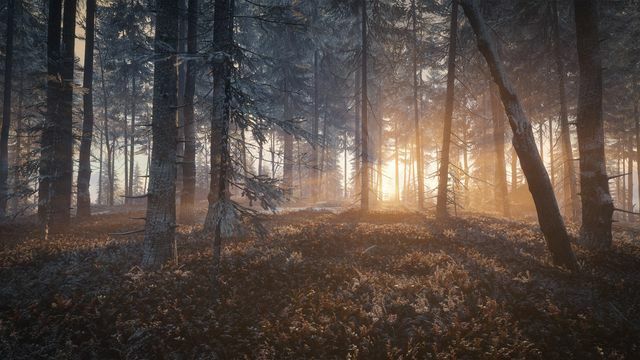 New to the act of hunting, in both virtual worlds and in real life, I only had a general idea of what to expect. I didn’t foresee a ‘harvest’ (a strangely subtle word for the act of killing the animals) coming lightly and knew I’d have to work for it in some way or other as you do with this sort of thing. 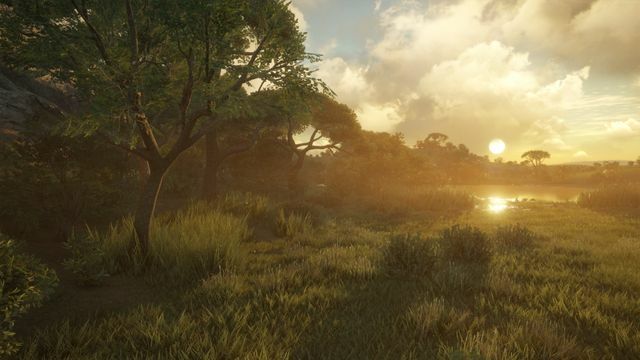 Starting out on a hunting reserve with some instruction, you’re equipped with what the game implies are the basics: different hunting calls, your rifle with a scope, binoculars etc. Playing plenty of first person shooters I thought, ‘Great! I shouldn’t be too bad of a shot and my reflexes of playing shooting games is very much there’. Boy, was I in for a difficulty multiplier in the different approach theHunter: Call of the Wild takes. 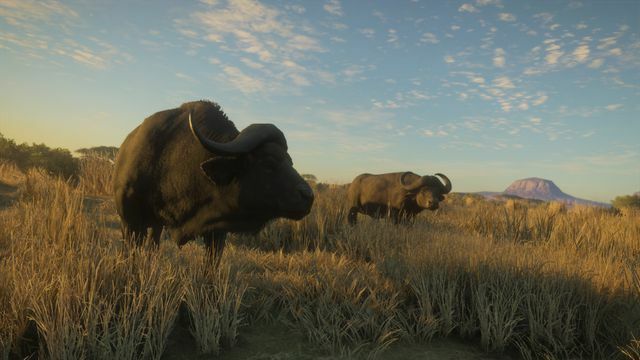 Perhaps it’s because I don’t have an instinct for attracting animals to kill them, but I do know how to make game mechanics generally work in my favour. Even with this, I found hunting a very tedious task–my character’s biggest enemy being a sound meter that detects how loud you are. I know deer have extremely sensitive hearing, but in most cases it was like my lumpy character had bricks in her shoes. Every little step I took was enough to frighten anything off in a mile radius–very unforgiving. Luckily, as well, my hunter isn’t a heavy breather. 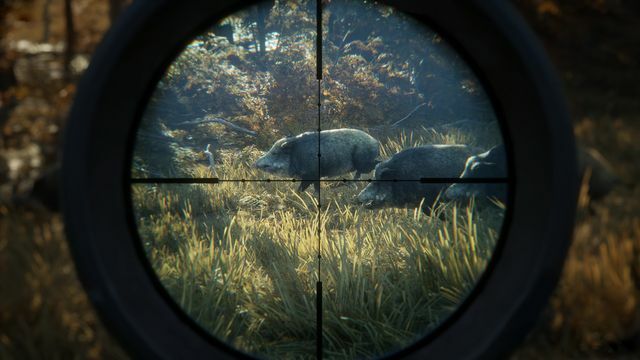 I say this from years of experience holding a scope in any gun-given game: leading a shot sometimes has to be the way to go, but with theHunter: Call of the Wild, not only do you have to land the hit, you have to aim for vital organs in order to kill the animal. I managed to shoot a few deer, but every time they ran away mockingly with my bullet firmly lodged in them. Not sure about the hitboxes on some planes–I made what I would call in any Halo/Call of Duty game a solid 10 out of 10 headshot, and unflinchingly the deer took off so fast there was never even a chance to get another shot in. 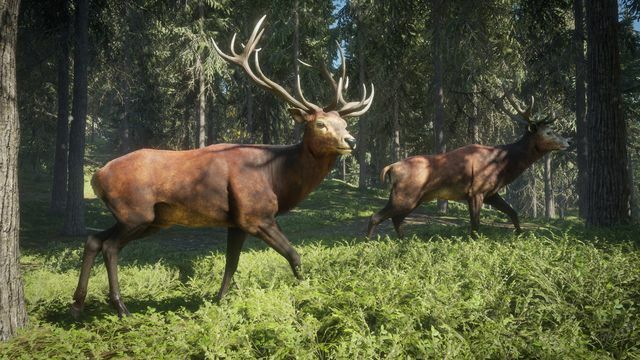 The realism of the deer getting away on a bad shot is perfectly understandable, however, there was no doubt that it landed between the eyes. That was the moment, after a virtual two mile walk (which took the best part of a real life hour due to sneaking to track it), that I put down the controller for a while. 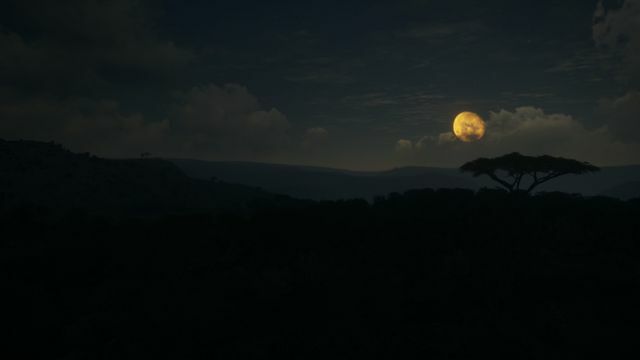 There are some tidbits aside from the actual shooting of the animals to do to occupy you, but instead of it being something you seek out, it feels more like something you sparsely stumble upon. 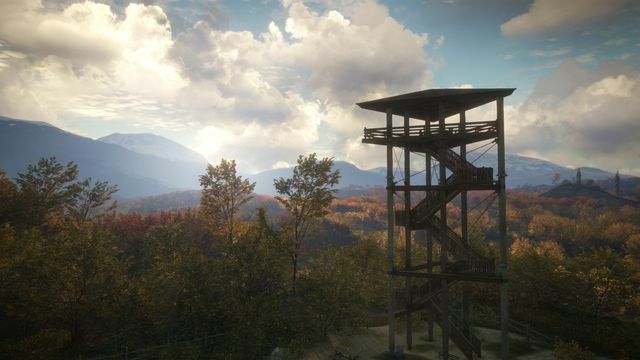 A collection of outposts to see with lovely vistas as a reward was my ultimate mark in happiness when playing. 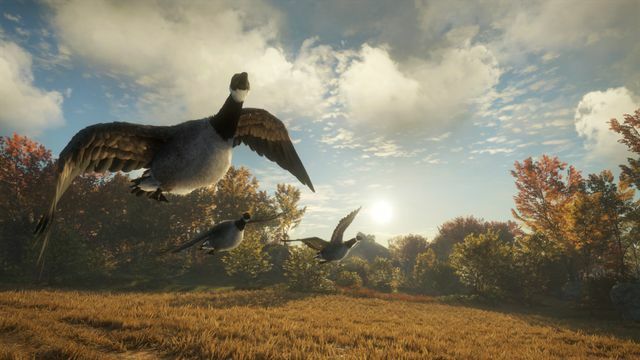 theHunter: Call of the Wild often plays out like a Sunday public access hunting show, but without any highlight reels, so spending your time looking for these little discoveries acts to curve the boredom of the great waiting game. The act of tracking an animal is most of your hunt. Five minutes in and I was already smelling animal poop like a pro. 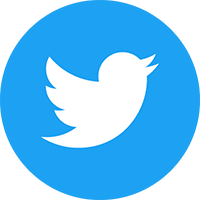 Glowing like a Resident Evil item, shiny turd parcels of all shapes and sizes lead the way and give you clues on how to properly ‘stalk’ the animal they came from. Each are marked on their sell by date: ‘very fresh, very old’, that sort of thing. 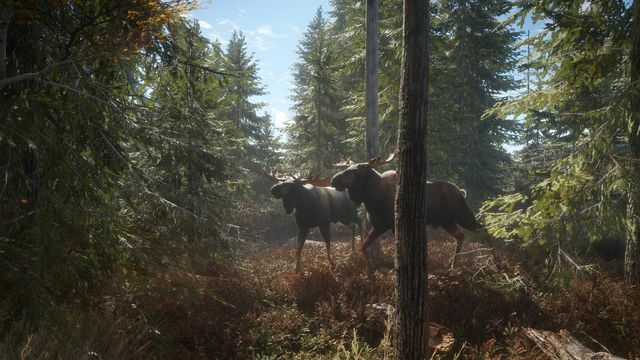 Thank heavens i’m not a hunter, because I would have probably left a pile of vomit, then had the animal hunt me in turn based on my pile of sick being a shiny beacon in which to track me. 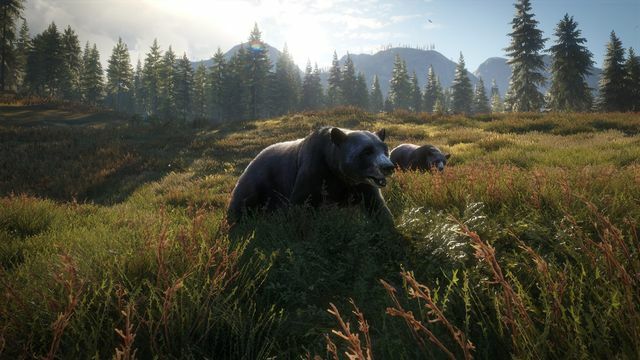 As for the demographic that will end up playing theHunter: Call of the Wild: I imagine there’s a big off season where camouflaged killers are polishing their bullets and washing their laundry with deer pee and in between waiting for the washer to ding that it’s done, they’re sat glued in front of their Xboxes gleefully shooting virtual wildlife. This is how I would like to imagine it anyway. 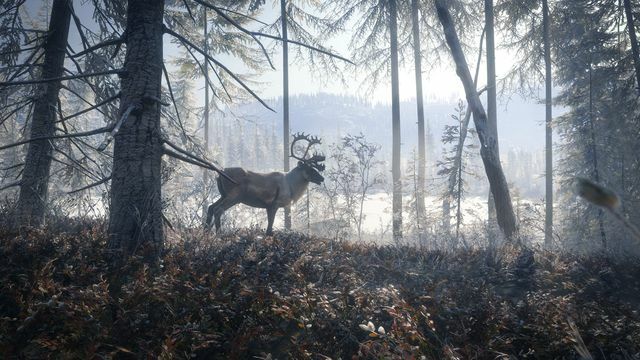 I can’t possibly speak for hunters out there as I’m not even close to being one, but I did grow up with plenty of them, (I come from Michigan, U.S.A…the opening of seasons is practically a statewide holiday) and I can’t visualize the very demographic this game is made for spending their off season hiding in rendered brush. But, I think if you are a hunter you’ll undoubtedly do better than me at bringing home the venison. 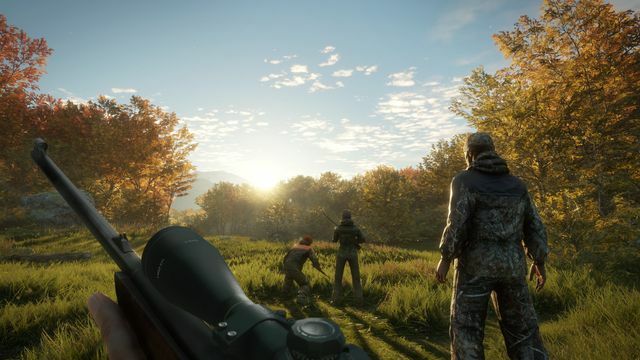 theHunter: Call of the Wild leaves a lot to be desired unless you have rock solid patience and a massive need to simulate a hunting trip out. It’s specific, very niche–if you’re anything like me, I’d leave this one on the shelf. 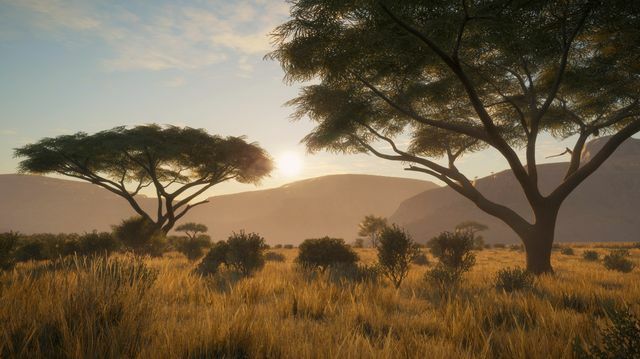 But if you’re thirsting to get out on the reserve–put this one in your sights. 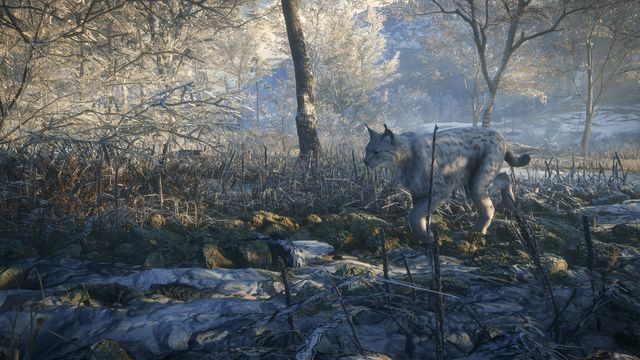 theHunter: Call of the Wild was reviewed using a digital code supplied by the publisher. By day, Sara is a video game fanatic, playing since her fingers could work a controller, keyboard and mouse. By night, she's a cartoonist who likes to draw silly pictures of her whippet, Phil.